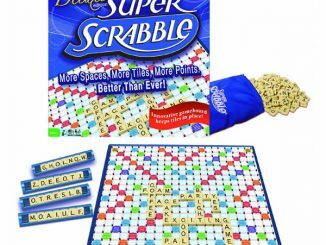 Scrabble, after Equalizer, is one of my favorite board games. 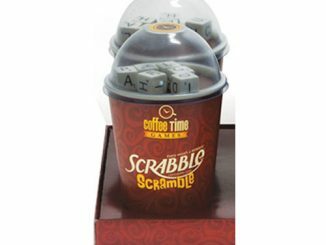 I’ve never been really good at chess or checkers, so word games really became my specialty. 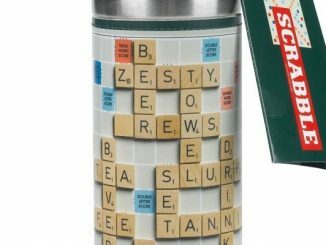 One thing I don’t like to do while playing is having to turn my head just to read the word that the other players are forming. 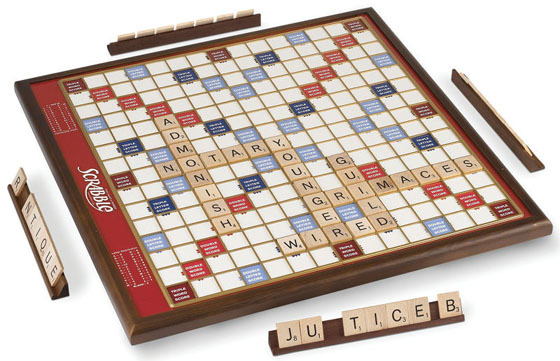 It’s also annoying how some players bicker about where the board should face. 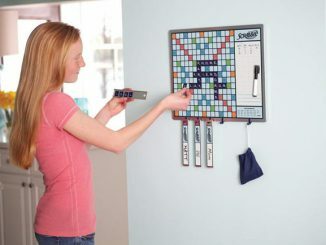 All these issues are taken care of with the Rotating Oversized Scrabble Game. 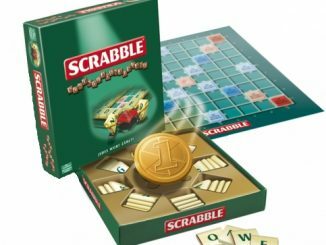 Aside from featuring larger tiles, this Scrabble board actually rotates; so the board is of the right orientation when it’s your turn. 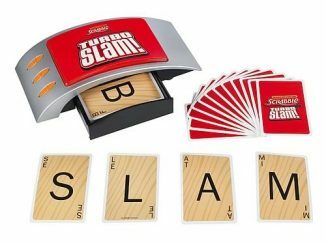 This really eliminates headaches and trying to figure out what word has been spelled out by the other players in the game. 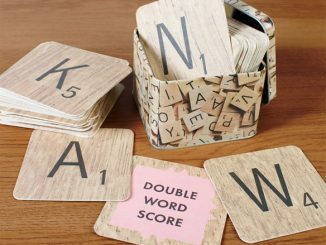 This is the oversized version of Scrabble, the world’s best-selling word game first trademarked in 1948, that uses both a rotating board and tiles 50% larger than the original. 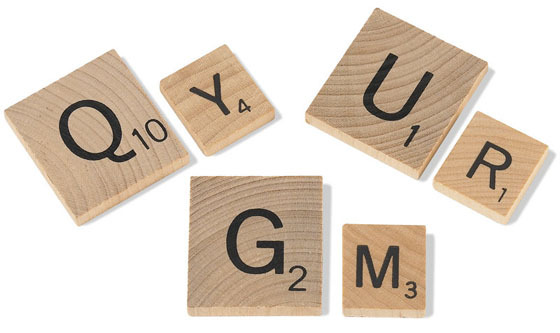 Measuring 23 1/2″ sq., the board’s playing surface has recessed spaces that keep the 100 oversized 1 1/4″ H x 1″ W wooden letter tiles stable when the board is rotated to provide an optimal view for all players. 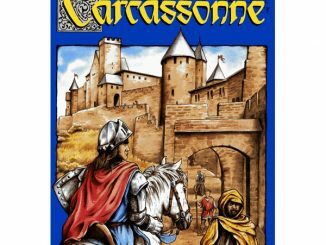 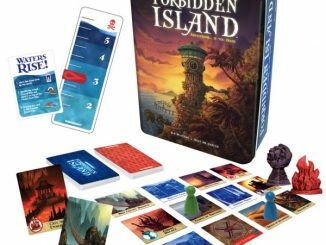 The rules and play are the same as the classic board game. 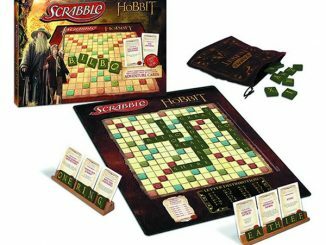 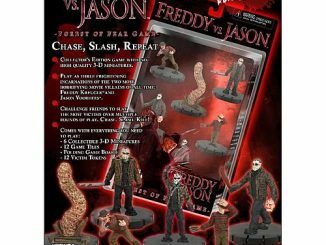 In addition to instructions, it includes oversized versions of the wooden board, four wooden tile racks, cloth tile bag, and score pad. 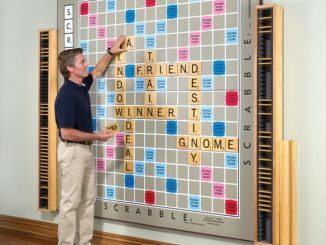 The Rotating Oversized Scrabble Game is available from Hammacher Schlemmer for $129.95.